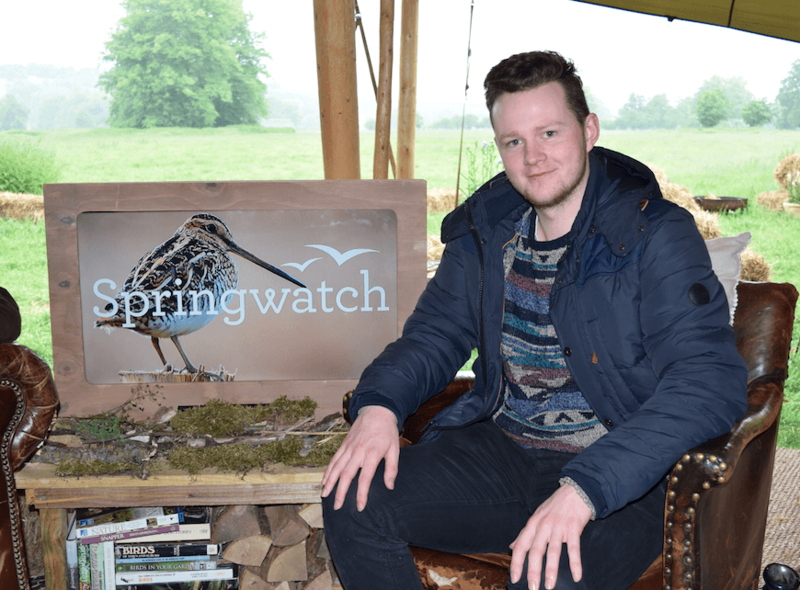 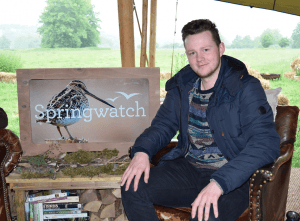 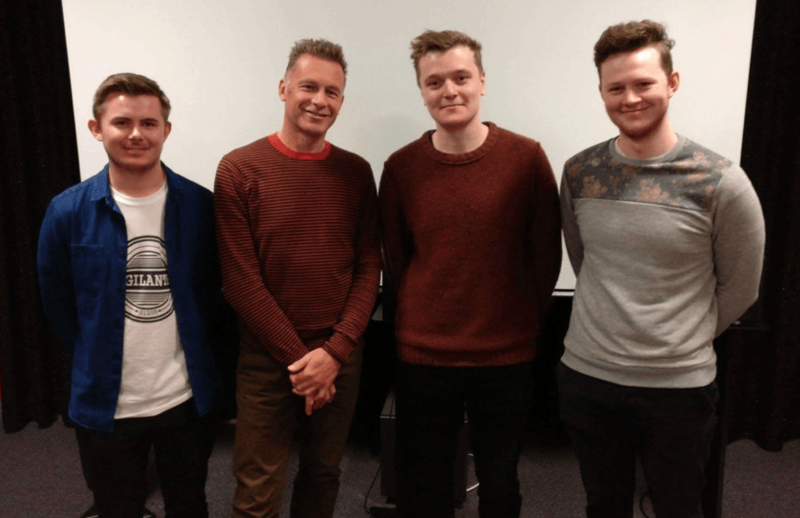 Audio Production students Rob Wynne and Dan Marnie spent the day with the Springwatch crew at the invitation of University of Lincoln Visiting Professor Chris Packham for a behind the scenes look at one of the BBC’s most popular programmes. 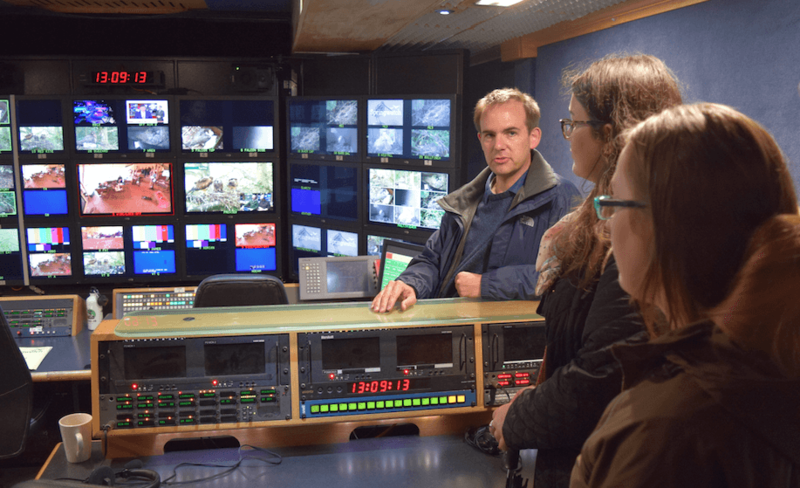 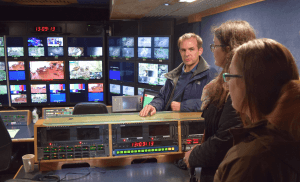 Students from the School of Film and Media watched the masses of activity around the build-up to the live broadcast and were shown around the site and technical facilities by Media Production graduate Jack Johnston who edits the show. 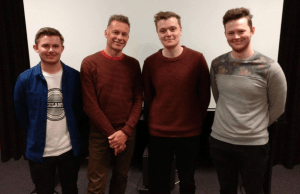 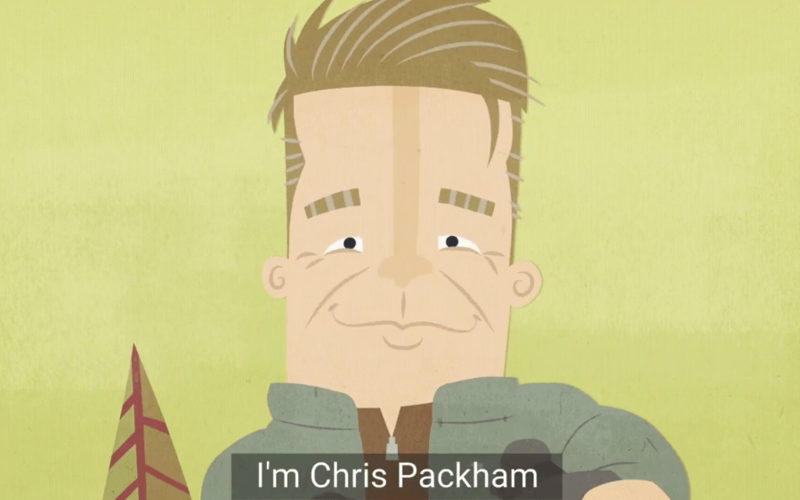 Earlier in the year Rob and Dan along with fellow Audio Production student Sam Jenkins recorded Chris Packham’s voice-over in the University’s sound theatre for the Woodland Trust’s tree charter animation.